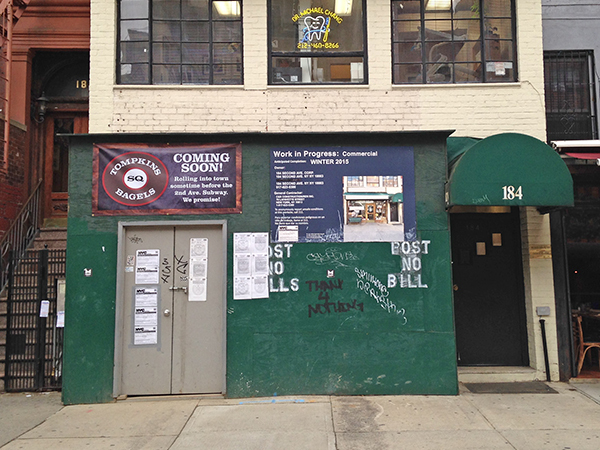 When last we checked in on the beloved Tompkins Square Bagels (July/2015), the construction fence at their second location (on Second Avenue) had just gone up. "Rolling into town sometime before the 2nd Ave. Subway. We promise!"